With lifestyle diseases such as hypertension and diabetes on the rise in Belize, it's no surprise that kidney failure is following closely behind. And for those with end stage renal failure - the only option to keep them alive is dialysis - which is both costly and scarce. There are probably less than 40 working dialysis machines countrywide - and the majority are concentrated in the north. That's why many with kidney failure have been breathing easier since the middle of this month when a new dialysis center opened here in the city. This has taken the stress of repeated long drives off persons who are already ailing. Today we visited the centre and found out more from the nurse and patients. Kidney failure or end-stage renal disease is a life-threatening condition. The only way to survive is to get a kidney transplant or take dialysis treatment. 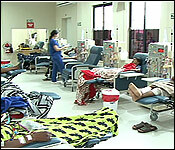 Many patients opt for the dialysis treatment. 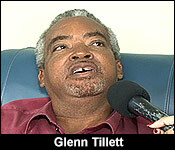 Even though Belize City does have hospitals that offer the treatment either the price has been too high or the wait list too long. So, many patients had no choice but to drive up to Dialysis De Belice in Orange Walk more than one time every week, but now those long exhausting journeys are over. 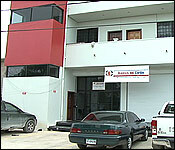 On December 15th Dialysis Del Caribe opened in Belize City and a world of easy accessibility opened up to the patients. 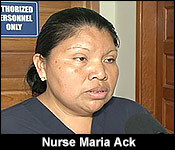 Nurse Maria Ack, Registered Nurse & General Manager for Dialysis Del Caribe "Well we cater to 30 patients. We have 14 patients that were going to Orange Walk so we just transferred them here and the response has been good. They are happy and that is the main goal of the company. To make it accessible to patients so they don't have to travel you know so we want to make it accessible and affordable and at the best service that we can provide to the people." Historically, Dialysis treatment twice or three times weekly has been expensive, and for many that meant it was out of financial reach but, over time, and with competition, the price has dropped dramatically. This price drop has given patients the chance to live a little longer. "This is a private institution. Patients have welcomed anytime and the treatment is three times a week which would be the norm however in Belize we know it is expensive even though the price for dialysis right now is very low. It is 200. We provide 200 per session dialysis only compared to when I started dialysis in this country in 2002 it was like $650 and up to last year it was $489 per session and you need three times a week but this companies goal is to make it cheaper and accessible to them." "Once you get your dialysis three times a week, you take your treatment and everything you can live for 15 to 20 years on dialysis as long as you get the proper treatment." "Majority of our patients that we do are doing two times a week and they are in good shape." Some patients have been taking the treatment for more than five years and others have just begun. The treatment isn't easy or fun for these patients, in fact, it is draining and long but it's what they must do to survive. And for these patients having a center of this size available in the city has improved their quality of life and treatment. "So how long have you been doing dialysis?" "So where did you go before this centre?" "I was going to Orange Walk and I am happy that this one is open because I don't have to travel that far now." "So this centre is life-changing for you?" "It is yes because maybe I would have passed already." "So before this centre, you were going where to get your treatment?" "I started at healthcare partners and then I went to Dialysis De Belice in Orange Walk and now I am here." "Ok, and what difference has this made in your life now that the centre is here in Belize City and you don't have to go all the way up and down to Orange Walk?" "It is convenient to start with. 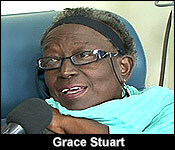 More importantly for me, the people here under nurse Maria have been very professional and very courteous." "And do you find it more affordable here as well?" "Yes, the price is better." "How much has dialysis changed your life?" "Yes, it changed my life a lot." Dialysis Del Caribe is home to a total of 13 machines along with 4 back up's.